As the dust settles on the Strata Management Act 2013, we wonder how have the new rules serve to address issues related to the maintenance and management of strata developments? While we hope the answer is “everything is fine and dandy”, REENA KAUR BHATT sat down with Chris Tan, Founder and Managing Partner of Chur Associates to find out more about the impact of the new Act and the reaction from various stakeholders in strata developments. 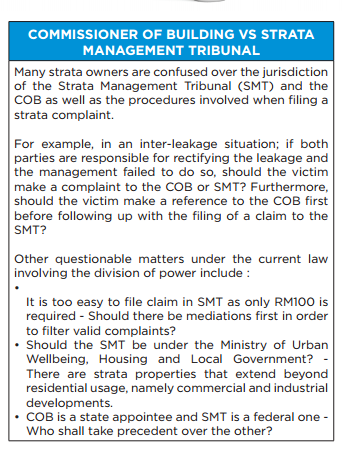 He highlighted a few challenges faced by both developers and strata property owners in dealing with the SMA 2013 by-laws as listed below. Nonetheless, there is still the dispute over the allocation of share units. 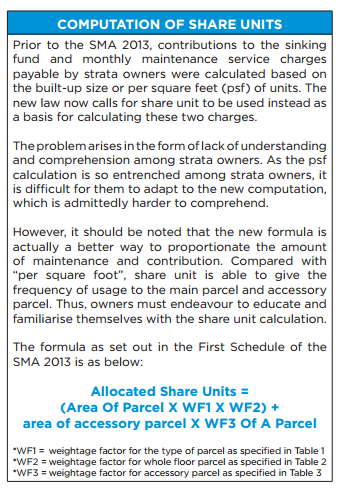 New developments preceding the SMA 2013 requires developers to indicate the allotted share units of each parcel in the plans, which must be exhibited in the developer’s sale office. 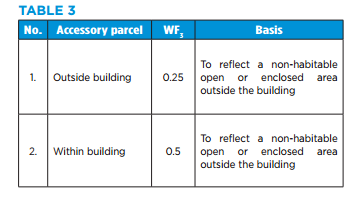 For properties sold before June 2015 and no share units have been assigned, the management body shall assign the share units for each parcel in accordance with the formula above. 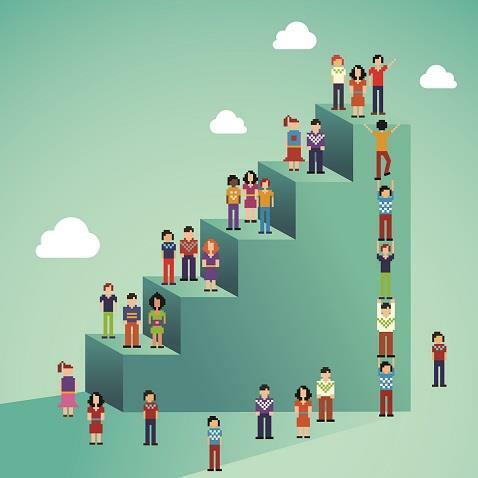 Some owners will be at the winning end as the new calculation favours them in terms of a lower maintenance fee, while it will be vice versa for a few others. 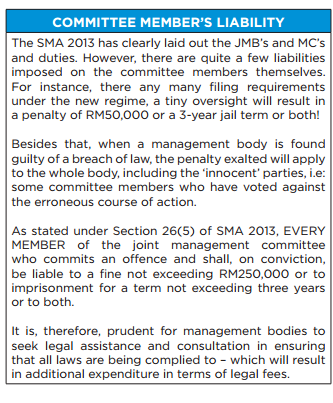 This might create friction between owners and the Management Committee (MC) or the Joint Management Committee (JMB). As expected with new rules, its practical application is likely to cause some initial confusion and frustration. 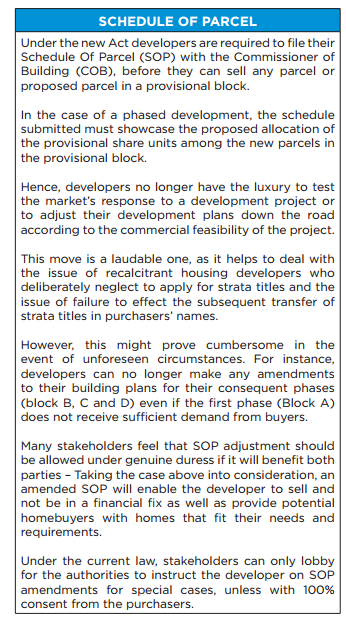 That said, the SMA 2013 is most likely here to stay and strata owners have no choice but to work through them. As mentioned by Chris, the success of any strata management is up to the MC upon delivery of vacant possession. Hence, he suggests that it should be made compulsory for its members to undergo educational training, similar to the structured forms of Continuing Professional Development (CPD) learning. There should also be continuous communication by all stakeholders to ensure timely improvement of the enforcement and processes by the management body. Providing a few suggestions for the challenges mentioned above, Chris proposed that developers should fund the LCP submission, which provides for a win-win situation – allowing developers to retain control over the commercial/retail component of a development in return for sponsoring the pricey submission cost on behalf of the MCs. 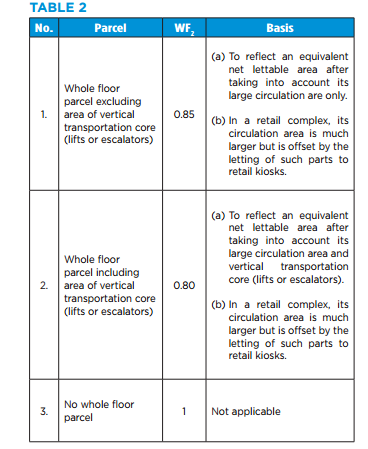 Moreover, MCs ought to consider effecting income generating Common Property. For instance, renting out of the development’s façade as a billboard, setting up of commercial areas such as laundry mats, clinics, etc, to obtain rental revenue or even pay per use arrangement for facilities such as the gym and swimming pool. The income collected will go a long way in supplementing the maintenance expenses of the strata development down the road. At the end of the day, strata residents must be aware of their responsibilities and obligations as well as strive to take charge in order to protect the very investment that they live in. Shoe Box Units: An Option For Our Urban Youth?